This Tamiya 4×4 1:10 scale R/C car is based on the race-winning Datsun 240Z rally car used in the 1971 East African Safari Rally. The East African Safari Rally was one of the most brutal, grueling motorsport events in the world. 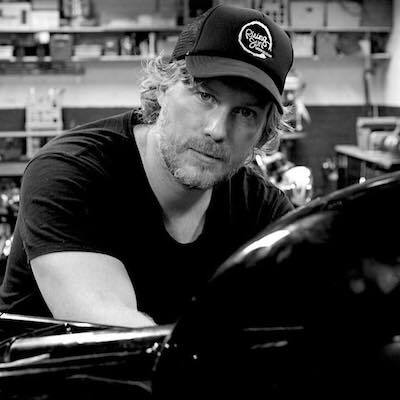 The race was founded in 1953 as the East African Coronation Safari by two friends – Eric Cecil and his cousin Neil Vincent. The early rally route started in Nairobi, then went around Lake Victoria, through Uganda and Tanganyika and returned back into Kenya. 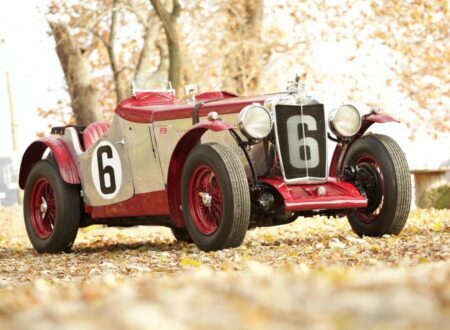 The race was 3,852 miles long, and it ran over open land and dirt roads, with altitude changes from sea level to 10,000 ft, and temperature changes from 40+C to below freezing. The 1971 running of the event saw 107 cars enter with purpose-built, Africa-proof rally cars, but just 32 crossed the finish line. Many have pointed to the East African Safari Rally as the godfather of the Paris-Dakar, and there’s no denying that it was one of the toughest single events in motorsport history. 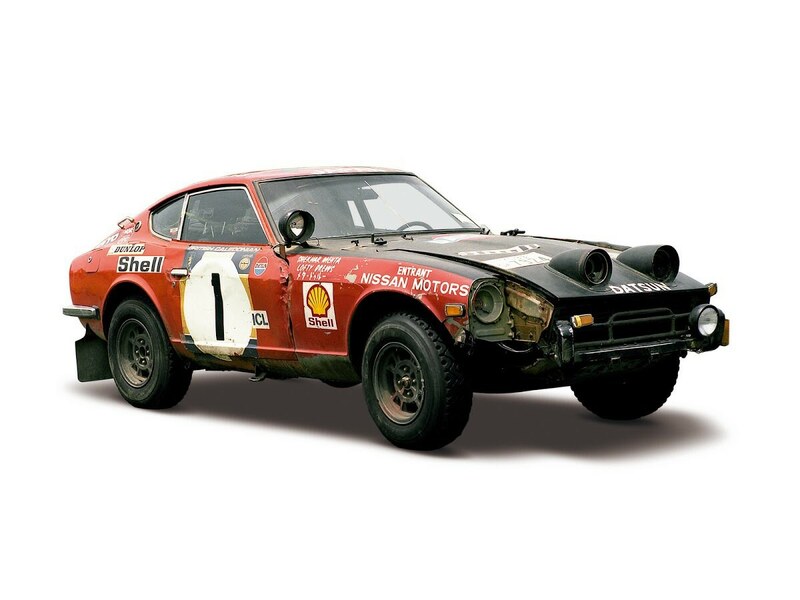 In the 1971 race, the #11 Datsun 240Z of Edgar Herrmann and Hans Schuller took the overall victory, the class victory, the team victory, and the manufacturers championship – making Datsun the fist company to win all three categories two years running. 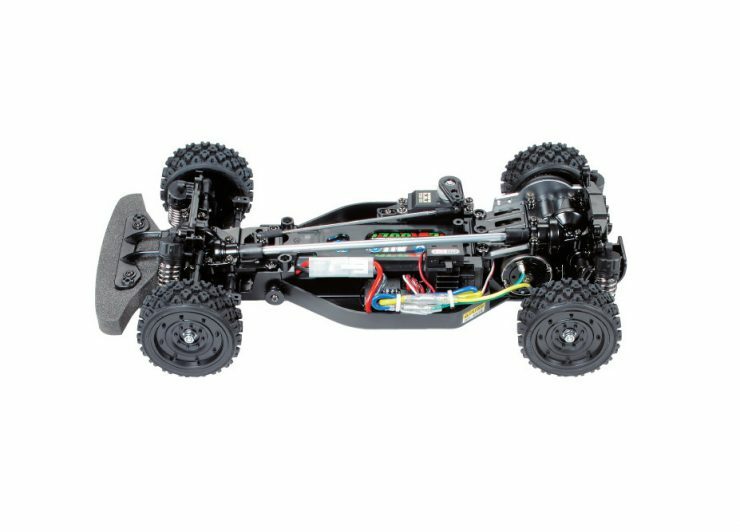 The R/C car you see here is based on the Tamiya DF-03 chassis, it’s a 4×4 platform with double wishbone suspension front and rear (including adjustable upper arms and multiple attachment positions for dampers). It has a longitudinally positioned battery with the R/C unit on the rear, and ball differentials are installed in compact front and rear sealed gearboxes to prevent the incursion of dirt and debris. 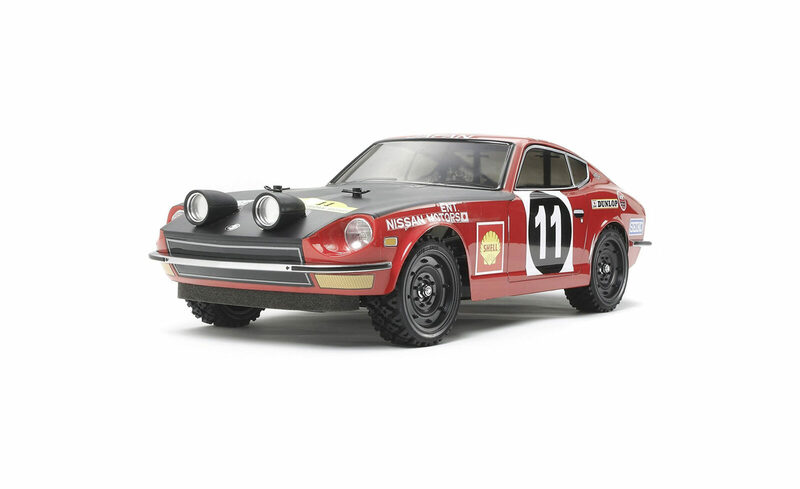 Tamiya have fitted the Datsun with correct Rally Block Tires that are well-suited to off-road use, and the polycarbonate body comes with all the correct sponsor logos and car numbers used on the original 1971 rally car. 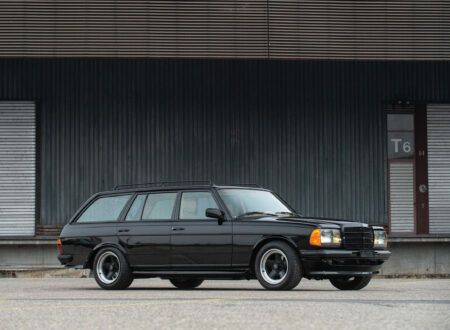 The original hood-mounted light pods are also included in the kit, as well as metal-plated front and rear bumpers, and paint to match the original. The Tamiya Datsun 240Z has a length of 451mm, a width of 190mm, and a height of 138mm. The wheelbase is 251mm and the tires are 27x69mm. The chassis is a monocoque-tub which offers both low weight and excellent rigidity, when combined with the polycarbonate body, all-wheel drive, and the powerful RS540 electric motor, the car is a highly competitive R/C racer both on and off the asphalt. 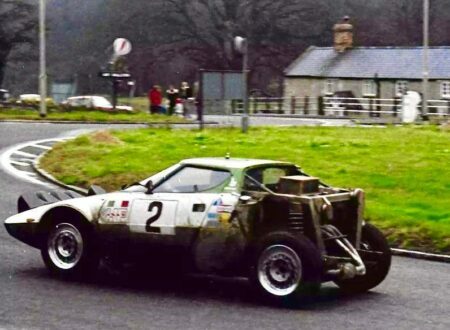 The Datsun 240Z shown above is the car driven by Shekhar Mehta and Lofty Drews in the 1973 East African Safari Rally, this is the condition it was in when it crossed the finish line. The damage it sustained shows very clearly why most entrants never completed the event.